The holiday planning completed successfully and included 10 sols of five-hour-long morning meteorological observations by REMS, during the period when more complex activities were precluded. The main goals for the Sol 2279-2280 plan were to catch up on our other regular atmospheric monitoring activities, which were largely on hold over the holidays, and to prepare for drop-off of the "Rock Hall" red "Jura" drill sample into SAM for analysis. A dust devil 360° image search and 30-minute movie pointing to the south-west were added in the late morning on sol 2280, with REMS covering the same time period; this allows us to see if any of the dusty vortices found by imaging coincide with vortex-like (sharp, short-lived) pressure drops in the REMS pressure data. 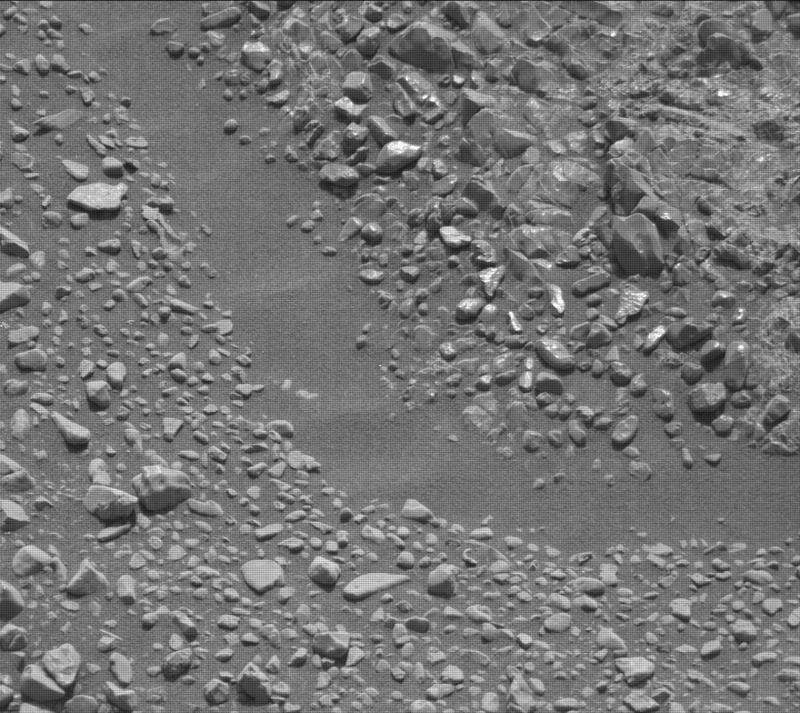 In addition, the atmospheric column opacity, as well as the amount of dust between Curiosity and the crater rim, were measured in the morning and afternoon, with morning and afternoon 'cloud search' movies added too, plus regular RAD and DAN passive measurements. To look for surface changes indicating wind strength and direction over the holiday break, we also added Mastcam imaging of targets "Luskentyre" and "Fishertown" at ~15:30 on Sol 2280, to match imaging of them at the same time (and hence the same lighting conditions, making it easier to spot changes) on Sols 2266 and 2276. The three images of each target will be analyzed to look for changes in position of sand grains or ripple crests (such as those seen in the image of "Luskentyre" from sol 2276) over the intervening sols. SAM pre-conditioning during this plan would normally have been joined by a ChemCam passive measurement of the drill hole, but as this is a big measurement the ChemCam team recommended re-imaging the target first, in case the rover had shifted a little over the long break. So an RMI of the Rock Hall target was added in this plan, with the full ChemCam measurement postponed until the imaging has been assessed. In addition, to build up statistics on local bedrock variability, we added ChemCam passive measurement of targets "Port Askaig," "Portnockie" and "Bothwell."